If you’re heading to the Dominican Republic for your next holiday, you might be wondering what there is to see and do that you shouldn’t miss while there. Depending what you like to do and your various interests, the Dominican Republic is perfect for both history buffs as well as beach bums, budget travellers and luxury seekers. Read ahead to find out more about the Dominican Republic and the things you should make time for when you’re on the island. Cigars have long been a tradition of the Caribbean, from the Dominican Republic to Jamaica and especially Cuba so it stands to reason that the cigar factory in the Dominican Republic at Santiago de los Caballeros is one of the best in the region. Come and experience the history first hand of one of the Dominican Republic’s best cigar brands and learn about all the work that has gone into making it the well known brand it is today. Purchase a sample for yourself to take home from the gift shop and enjoy a bit of the Dominican Republic anytime you want. This building, now museum, is the oldest Viceregal building in the Americas and is a shining example of historical Spanish colonial architecture in Santo Domingo. While it’s only around half the size it originally was, it’s still an impressive building nonetheless with numerous rooms, gardens and a colourful history, having been build by Diego Colon, the son of Christopher Columbus. A keen piece of heritage in the Santo Domingo colonial zone this former monastery was built by the Franciscan monks in or around 1508 and was the first monastery built in the new world following initial colonisation. A few hundred years later, the monastery was used as a mental asylum but when it was damaged by a hurricane it ceased its use for that purpose. These days it’s seen as one of the most historic sites in the city and is used for various events. It’s also protected under law. The Dominican Republic is, of course, home to numerous beaches and therefore also home to numerous outdoor activities such as walking, hiking, swimming, water sports, fishing, and just plain old sun bathing. Day trips can be arranged to snorkelling and diving sites from most hotels on the island, and they’re well worth it. Some of the coral gardens and sea life in the area are stunning in their beauty and are definite must sees. 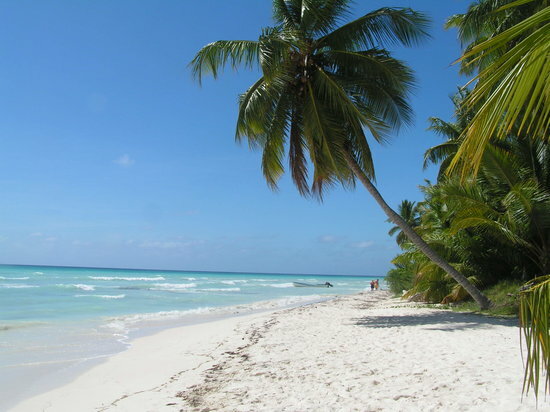 So there you have a couple of great suggestions for things you have to see and do on the island of Dominican Republic. Remember that the national language is Spanish. With so many things of historic significance, paired with water activities and a generally beautiful position in the Caribbean, this makes the Dominican Republic the ideal place for any sunny holiday.